YOUR SATISFACTION IS GUARANTEED! USA SELLER! Very beautiful 925 sterling silver Nickle free rhodium plated double halo pear shape engagement ring. Weight appx: 5.6 grams (may vary depends on the size.) Size at the top appx: 20×14 mm widest points. 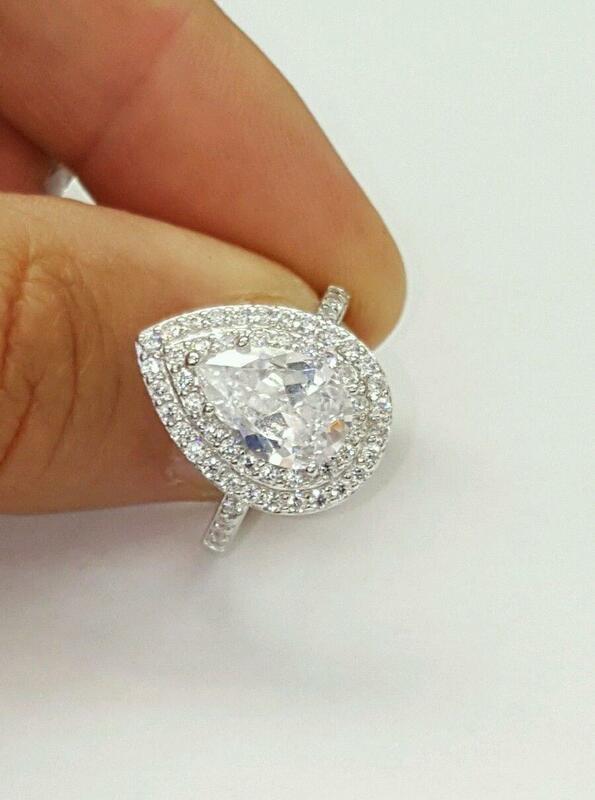 Available sizes: 5 , 6 , 7, 8 , 9 Stones: High quality Cubic zirconia, Center stone appx 12.5×8 mm Be sure to add me to your favorites list! Stock number: BGR00887CLR COMES IN A NICE GIFT BOX!